Unfortunately, not a day goes by without coming across a number of new articles, comments and memes about Trump. Quite rightly the shock about the new president and the new congress is still great. Thus, not only celebrities and big firms speak openly against the attacks on human dignity. At the Women’s March on Washington on January 21st 2017, thousands of people protested on the streets for the protection of women’s and human rights. 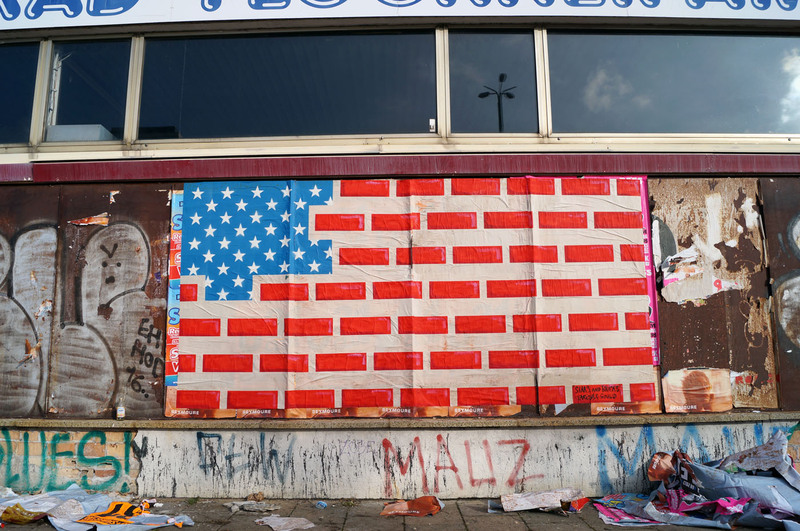 Not only in Washington, but also worldwide in various cities and countries millions of people expressed their outrage about current politics, but moreover their readiness to protect each other. 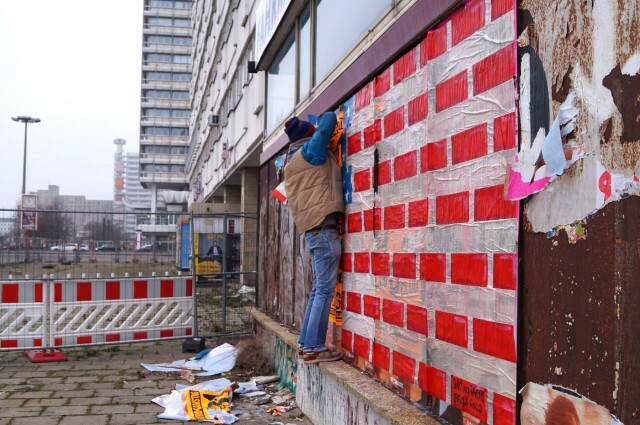 Accordingly, public space seems like the ideal medium in these times in order to respond on populism. And this of course, could also happen in a form of art. 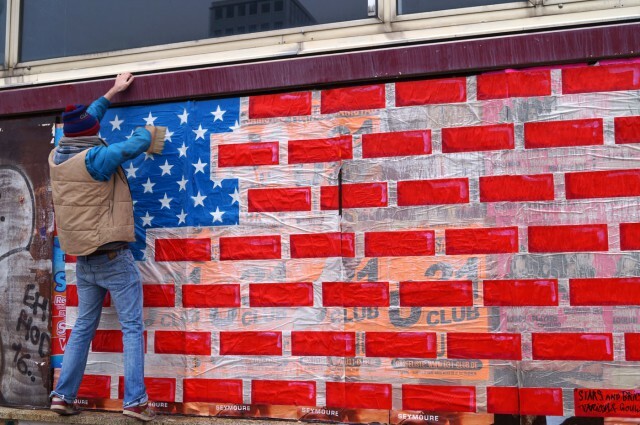 The artist duo Various & Gould did react on current American politics as well and reinvented the American Flag. 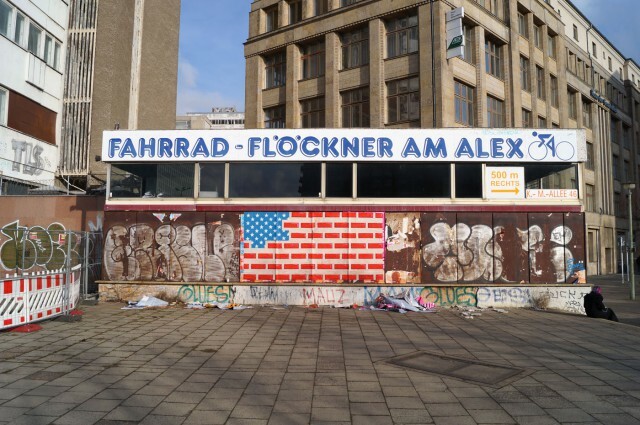 Therefore, they put up a 2 x 4 m big painted poster at Berlin Alexanderplatz, that has to be seen as a critical comment to the planned wall at the Mexican Border, since the artists transformed the stripes on the flag into a dry-stone wall with only a few simple adjustments.